The United States denounced the Israeli government for green-lighting construction projects in the West Bank settlement of Beit El and Jewish neighborhoods in East Jerusalem, joining counterparts in the European Union and United Nations. “We are deeply concerned about the Israeli government’s announcement today of the advancement of nearly 300 new housing units in the West Bank settlement of Beit El, as well as hundreds of new housing units in East Jerusalem,” read a statement from the State Department released late Wednesday evening. 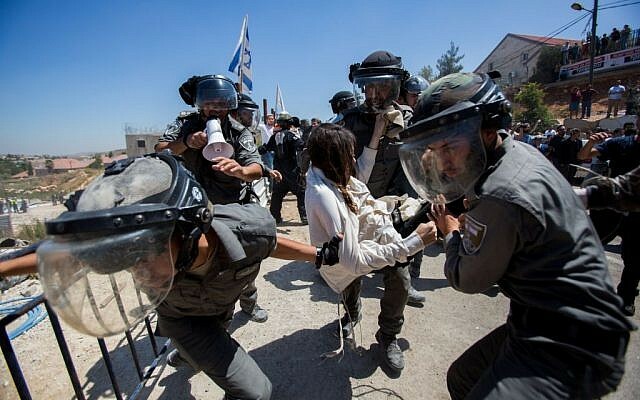 Netanyahu approved Wednesday the “immediate” construction of 300 settler homes in the West Bank after his government came under pressure from right-wing Jewish groups as two buildings in the Beit El settlement were razed. “After consultations in the Prime Minister’s Office, the immediate construction of 300 homes in Beit El has been authorized,” Netanyahu’s office said Wednesday, adding that planning for another 504 homes in East Jerusalem had also been approved. According to the statement, the 300 units had been promised three years ago following the demolition of other homes in the Beit El settlement. 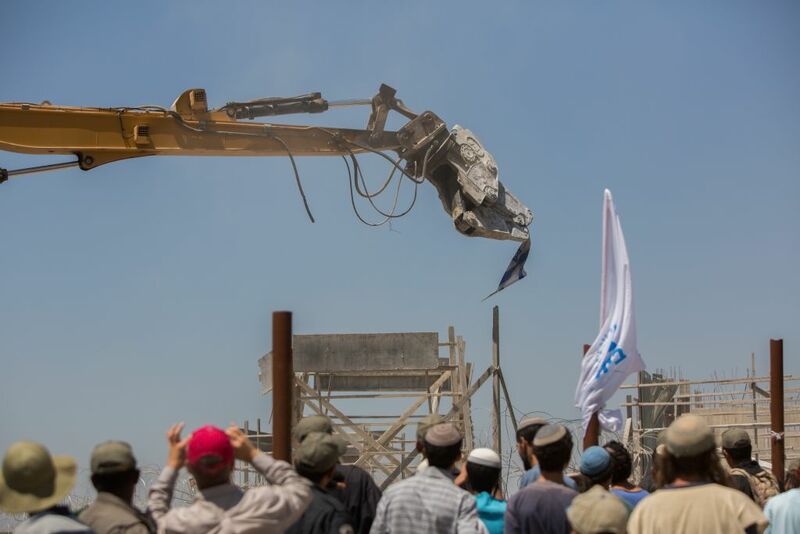 The approval came after the High Court upheld earlier Wednesday a demolition order for two structures built illegally in Beit El, outside Ramallah. 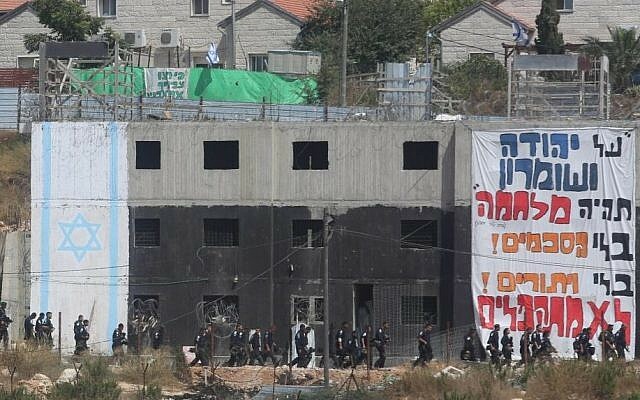 The planned demolition had drawn protests from settler groups, who clashed with police at the site on Tuesday and Wednesday. The European Union, United Nations and others also panned the Israeli government for its announcement. The recent decision “calls into question the Israeli government’s stated commitment to a negotiated two-state solution in the Middle East Peace Process,” a EU statement read. “We urge the government of Israel to urgently reverse recent decisions and put an end to settlement expansion,” it continued. 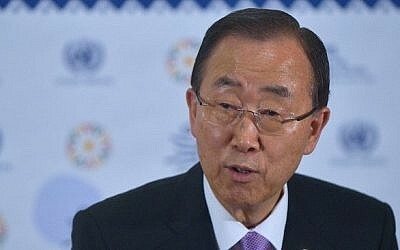 UN Secretary General Ban Ki-moon declared that “settlements are illegal under international law, an impediment to peace and cannot be reconciled” with Israel’s “stated intention to pursue a two-state solution,” his spokesman said in a statement released in New York. Ban urged Israel “to halt and reverse such decisions in the interest of peace,” his spokesman said. 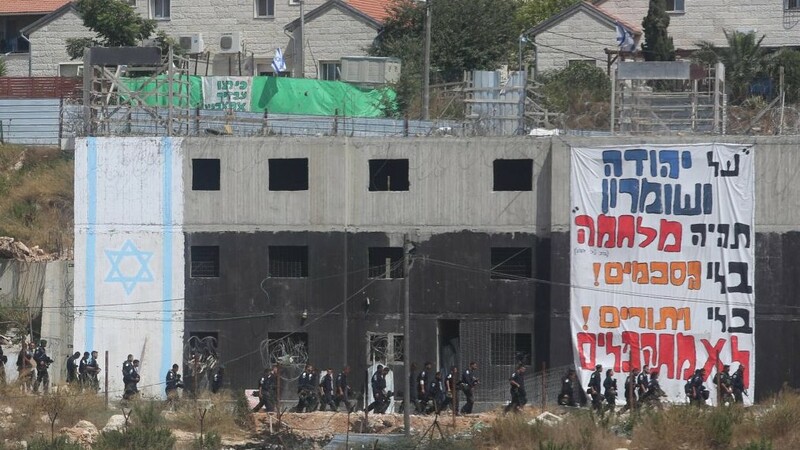 Netanyahu had said he opposed the demolition, which began Wednesday. Right-wing members of his government also spoke out strongly against the demolition, and Education Minister Naftali Bennett hailed the announcement of new construction. The prime minister holds only a one-seat majority in parliament following March elections and settler groups wield significant influence in his government. Israeli settlements in the West Bank are widely considered illegal under international law, though not by the Israeli government. 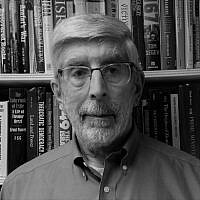 They are seen as further complicating peace negotiations aimed at leading to an independent Palestinian state. Talks have been stalled since last year. “These settlement measures and war crimes are part of a plan by Israeli leaders to impose a ‘Greater Israel’ on historic Palestine and destroy the two-state solution and the chance for peace,” senior PLO official Hanan Ashrawi said in a statement. 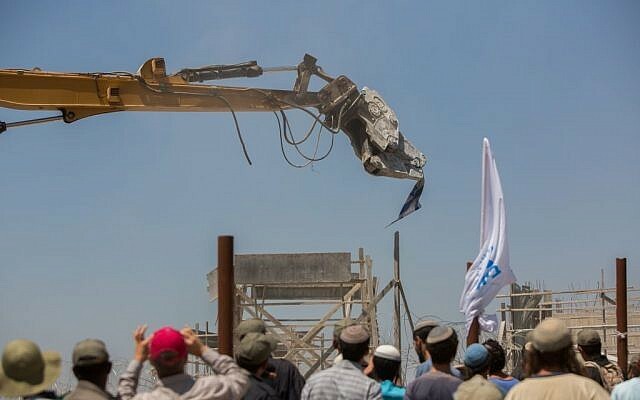 “Once again Netanyahu caved under the combined pressure of the settler-controlled right and the construction criminals in the [occupied] territories, and is advancing construction in East Jerusalem contrary to Israeli interests and the position of the international community,” a statement by the group read. The two buildings demolished in Beit El were reportedly on private Palestinian land that was seized by the army in the 1970s. Several hundred protesters clashed with police Tuesday as authorities took control of the buildings, then again Wednesday as demolition started. Police used water cannons to push back protesters and detained a number of people.